Field Trips on the Cheap: Educational Scavenger Hunts in your Area! 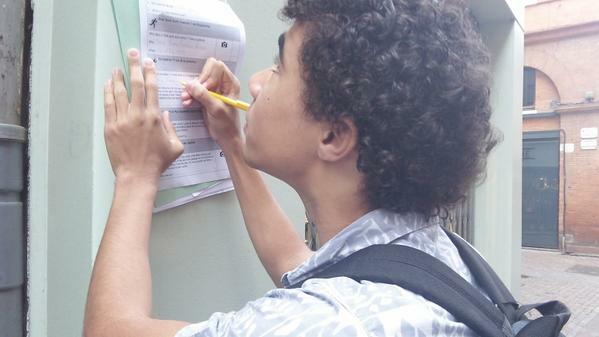 “Scavenger Hunts” are superb ‘team building’ exercises for older students – for example at the beginning of the IB / A-Level course, where they additionally provide a healthy dose of local knowledge that they are unlikely to be familiar with. They also have tremendous potential for cross-curricular links – and cost nothing to set up, regardless of the area in which you live. These activities are also remarkably easy to set up (in fact, I set up one for my local city without even leaving my armchair). Once they have located their quizmaster, they will be issued with their mission sheet. A photo task where the team has to take a group photo at a particular spot at the location (‘Find the sculpture of Resistance leader after whom these gardens are named, and take a group photo alongside it’). 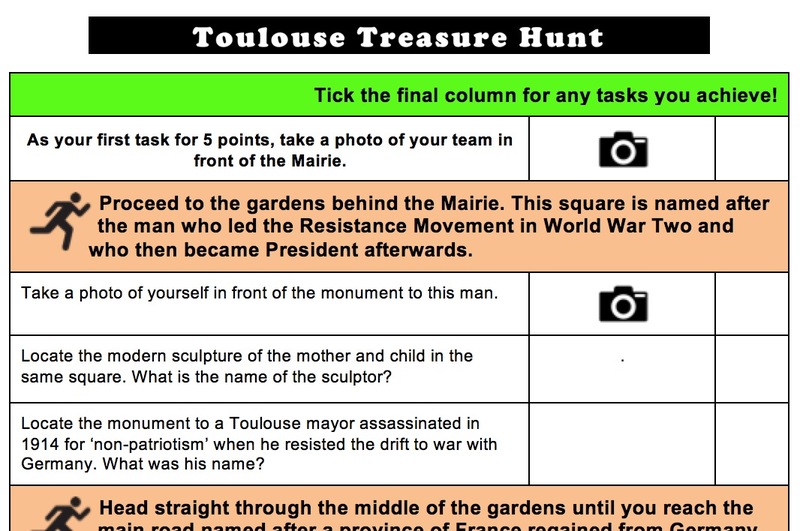 For each task completed, the team will ultimately be awarded 5 points. From this point, the ‘proceed to a place’ format can be repeated indefinitely: I used Google Maps to identify 10 key places around the city within walking distance, and then created a series of questions which guides them through clues from one place to another (“Proceed through the gardens till you reach a road named after the province regained by France at the end of World War One. Head West down this until you reach a square named after England’s patron saint” – and so on). Stage 4: Beat the Clock! One crucial ingredient of the treasure hunt is to provide a strict time limit. 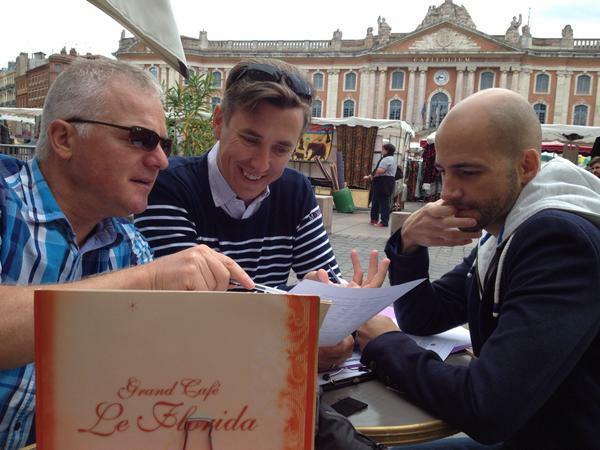 Teams have to hand their completed sheets back to their quizmaster before a designated time. Failure to do so should incur a heavy penalty or even disqualification. In this way, an element of urgency is built into the event. The activity worked very well on both occasions we have used it: firstly with visiting teachers for the Maths conference, and then in September as a Year 12 Induction Event. It will benefit by a ‘feet on the ground’ run-through next week, where I will undoubtedly spot other interesting details that I can build into the activity sheet. I also aim to add some useful bits of trivia about the places in question so that when groups arrive there they can learn additional interesting things about them. 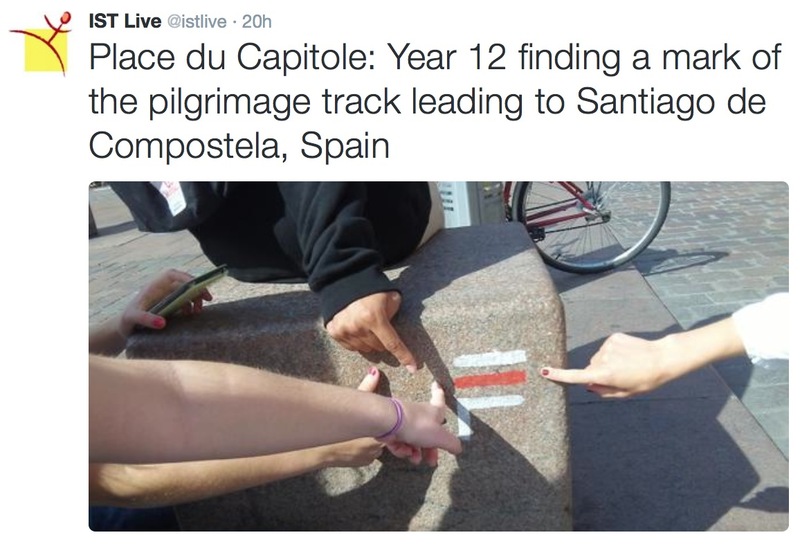 I particularly like the fact that the names of streets, buildings and squares are such a rich and generally untapped historical source, and that this activity will allow students to unlock it and appreciate their locality in a fresh way. The potential for crossover projects with Geography are obvious (especially if the clues require use of map skills) but also many other subjects (since so many local businesses and monuments honour literary, scientific and political figures). 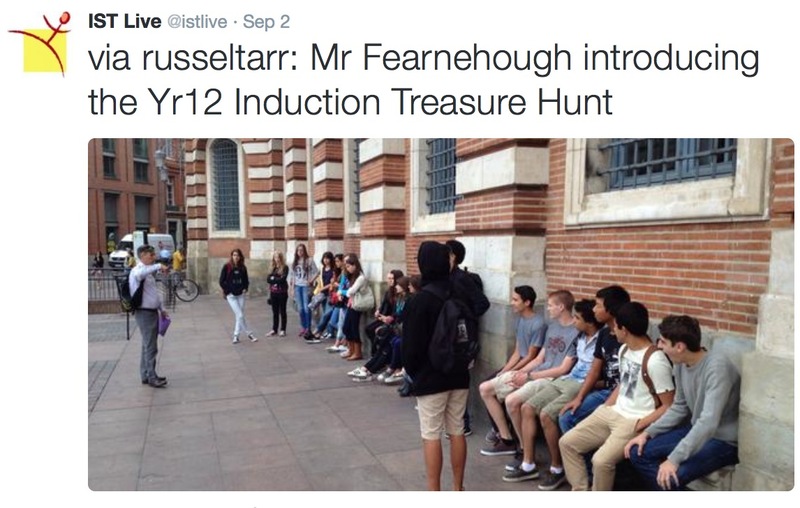 I also like the idea of using students lower down the school to design the treasure hunt for the incoming Year 12 students through a map-based activity in the classroom. With a map they can identify some of the key places in the locality, then conduct research into the origin and development of those places to construct their own ‘scavenger hunt’ for the older students. In this way two groups of students are taught at once and the teacher merely becomes a mediator! If you have tried out similar exercises yourself or if you have thoughts about this one, let me know through the comments or by contacting me on Twitter (@russeltarr).